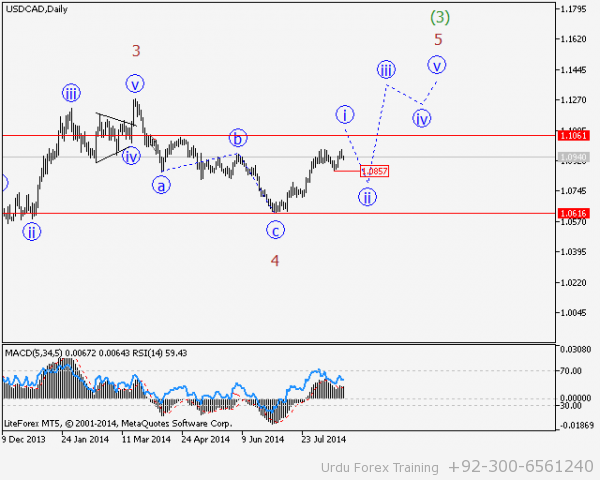 USD/СAD Wave analysis and forecast of 27.02 – 06.03: The pair is expected to grow. Estimated pivot point is at the level of 1.2358. 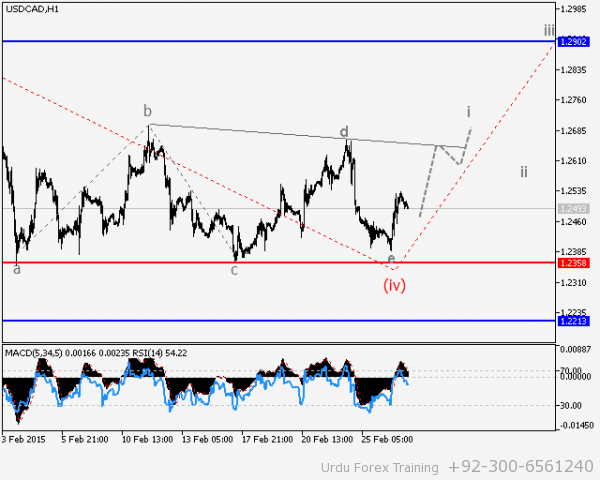 Our opinion: Buy the pair from correction above a level of 1.2358 with the target of 1.29 – 1.30. 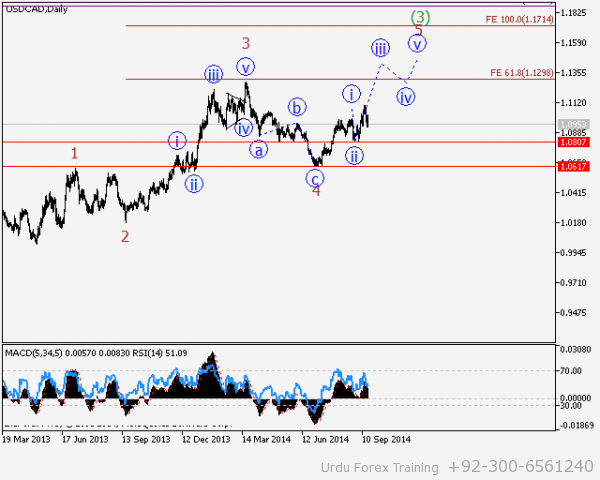 In case of breakdown and consolidation below the level of 1.2358, the selling target can be set at 1.22 – 1.20. Alternative scenario: Breakdown and consolidation below the level of 1.2358 will allow the pair to continue declining to the levels of 1.22 – 1.20. Analysis: The development of local correction in a form of triangular fourth wave (iv) is nearing completion. Apparently, the final wave e of (iv) is forming locally. If this assumption is correct and the price does not break the critical level 1.2368, the pair will resume growth within an upward trend. 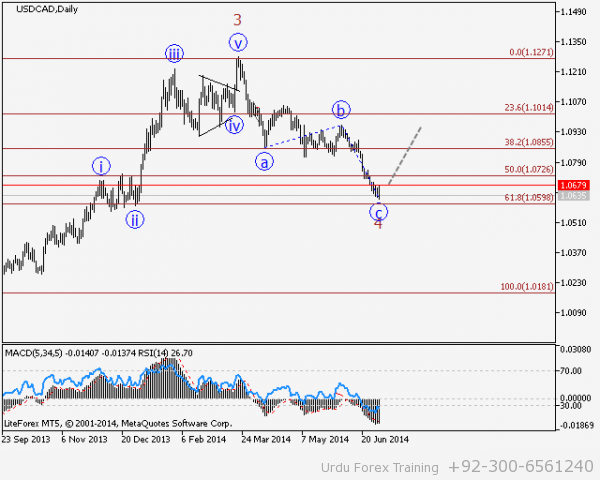 USD/СAD Wave analysis and forecast of 20.02 – 27.02: The pair is expected to grow. 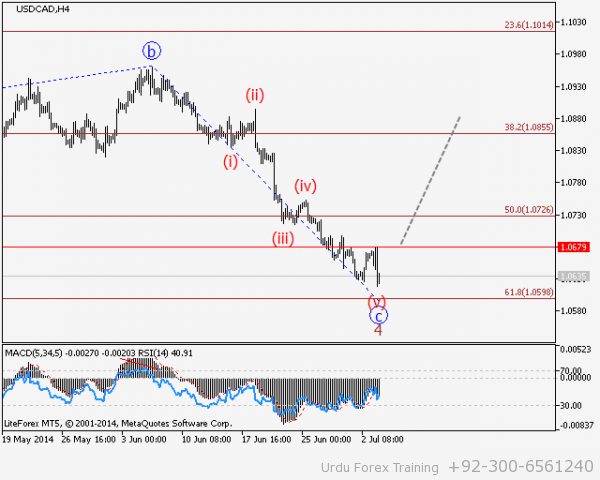 Our opinion: Buy the pair from correction above a level of 1.2358 with the target of 1.29 – 1.30. 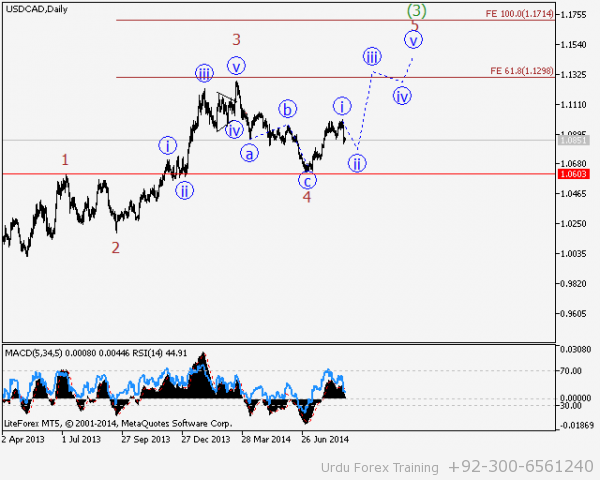 In case of breakout and consolidation below the level of 1.2358, the selling target can be set at 1.22 – 1.20. Alternative scenario: Breakout and consolidation below a level of 1.2358 will allow the pair to continue declining to the levels of 1.22 – 1.20. Analysis: Presumably, local correction in a form of fourth wave (iv) is completed and currently has a shape of a flat surface. Locally, the fifth wave (v) of iii of junior level has apparently started developing. If this assumption is correct, the pair will continue to grow to 1.29 – 1.30. The level 1.2358 is critical in this scenario. 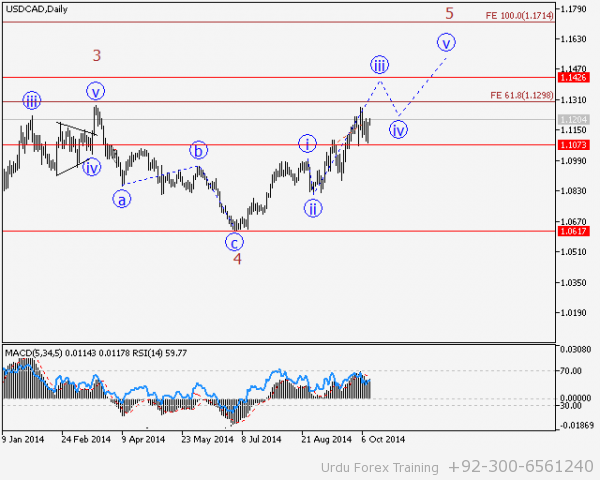 USD/СAD Wave analysis and forecast of 10.10 – 17.10: Uptrend continues. 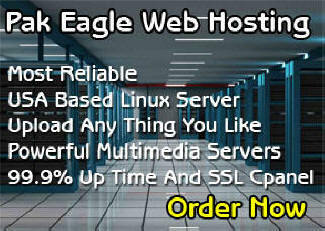 The pair is likely to continue growth. Estimated pivot point is at the level of 1.1070. Our opinion: Buy the pair from the correction above the level of 1.1070 with the target of 1.13. Alternative scenario: Breakout and consolidation of the price below the level of 1.1070 will enable the pair to continue the decline to the levels of 1.10 – 1.09. Analysis: Presumably, the formation of the third wave iii of the senior level continues. In this wave the fifth wave of the junior level (v) of iii is being formed. If this assumption is correct and the price does not break down the critical level of 1.1070, it makes sense to expect that the pair will continue to grow to the level of 1.13 in the third wave. 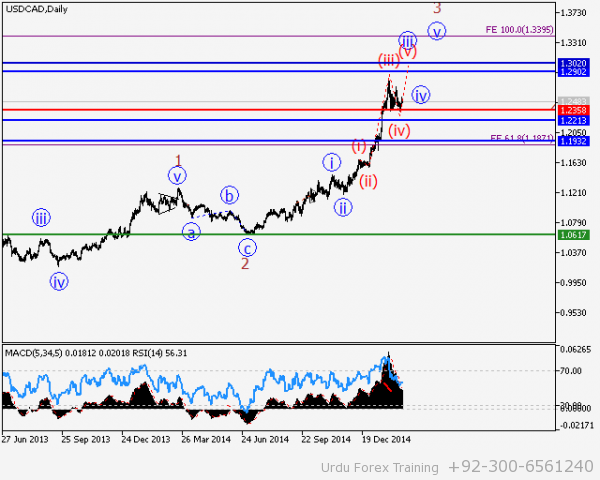 USD/СAD Wave analysis and forecast of 03.10 – 10.10: With an ascending trend, the pair is likely to continue growth. Estimated pivot point is at the level of 1.1066. 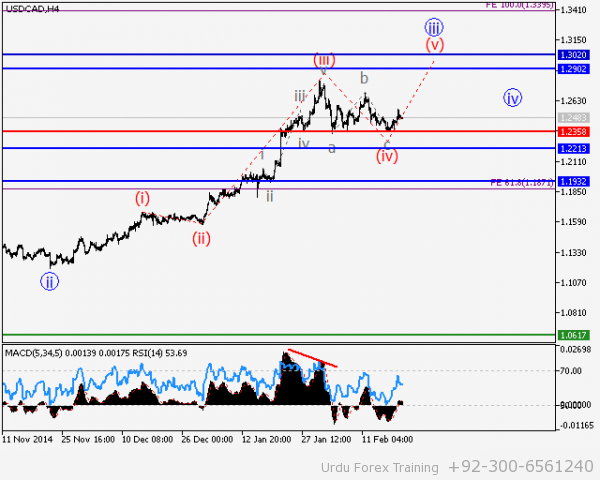 Our opinion: Buy the pair from corrections above the level of 1.1066 with the target of 1.13. Alternative scenario: Breakout and consolidation of the price below the level of 1.1066 will enable the pair to continue to decline to the levels of 1.1010 – 1.010 as part of second wave correction. Analysis: Presumably, the third wave iii of the senior level continues to be forming, with the third wave of junior order (iii) of iii developing as its part. Locally, the impetus in the first wave i of (iii) and its correction ii of (iii) are completed. If the assumption is correct and the price does not break the critical level of 1.1066, the pair will continue to grow to the levels of 1.12 – 1.13 as part of the third wave. 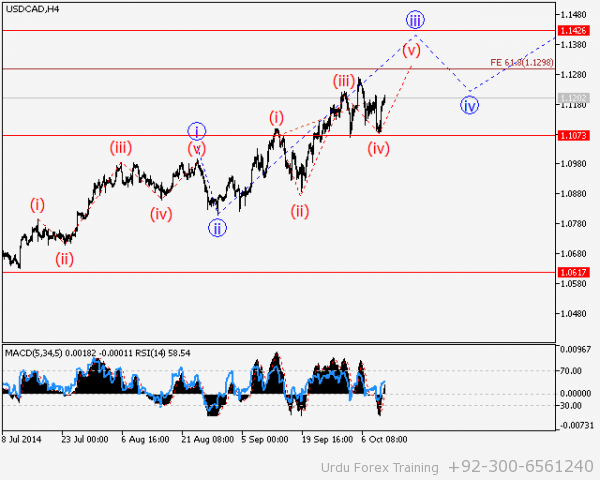 USD/СAD Wave analysis and forecast of 19.09 – 26.09: Uptrend continues. Locally, the pair is undergoing correction. Estimated pivot point is at the level of 1.0807. Our opinion: Buy the pair from the correction above the level of 1.0807 with the target of 1.12. Alternative scenario: Breakout and consolidation of the price below the level of 1.0807 will enable the pair to continue the decline to the levels of 1.0750 – 1.07. Analysis: Presumably, local “bearish” correction as the second wave of the junior level (ii) of iii of 5 is nearing completion. If this assumption is correct, after the completion of the correction the pair will continue to grow to the levels of 1.11 – 1.12 in the third wave. Critical level for this scenario is 1.0807. 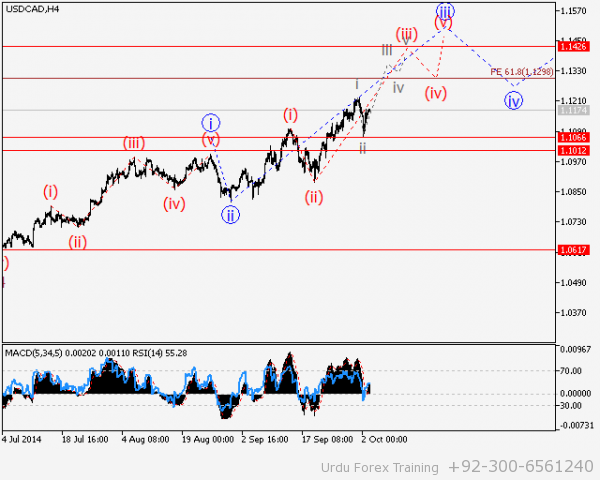 USD/СAD Wave analysis and forecast of 29.08 – 05.09: “Bearish” correction is being formed. Estimated pivot point is at the level of 1.0998. Alternative scenario: Breakout and consolidation above the level of 1.0998 will make the price continue the rise to the levels of 1.11 – 1.12 as part of the upward trend. Analysis: Presumably, the formation of the ascending momentum in the first wave i of 5 of (3) is completed. Locally, a bearish correction is being formed in a form of the wave ii. 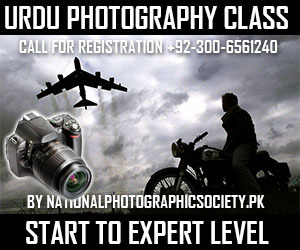 If this assumption is correct, the pair will continue its local decrease to the levels of 1.08 – 1.0760. 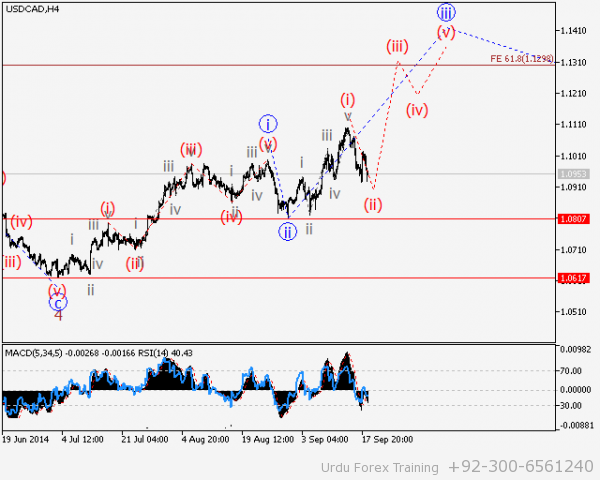 USD/СAD Wave analysis and forecast of 22.08 – 29.08: The pair is likely to grow. Estimated pivot point is at the level of 1.0857. 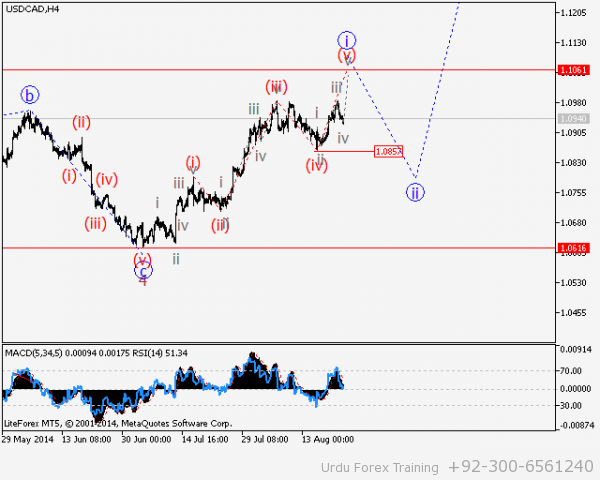 Our opinion: Buy the pair from correction above the level of 1.0857 with the target of 1.1060. 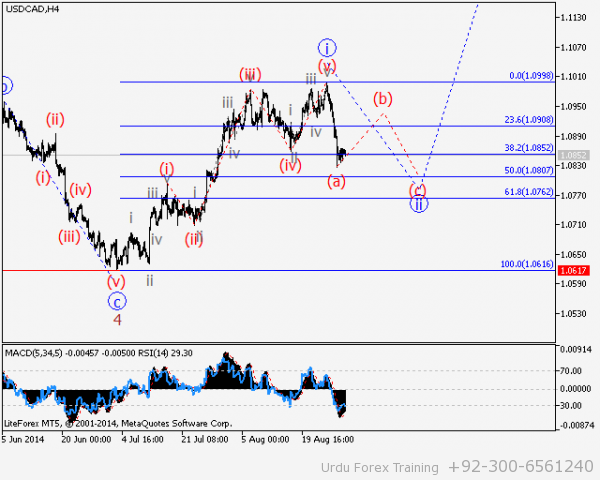 Alternative scenario: Breakout and consolidation below the level of 1.0857 will make it possible for the price to continue the decline to the level of 1.08 in the second wave. Analysis: Presumably, the formation of the ascending momentum in the first wave i of 5 of (3) is being completed. Locally, the fifth wave (v) is being formed and nearing completion. If this assumption is correct, it’s logical to expect a deep correction to form in the wave ii of 5 of (3) near the level of 1,08. 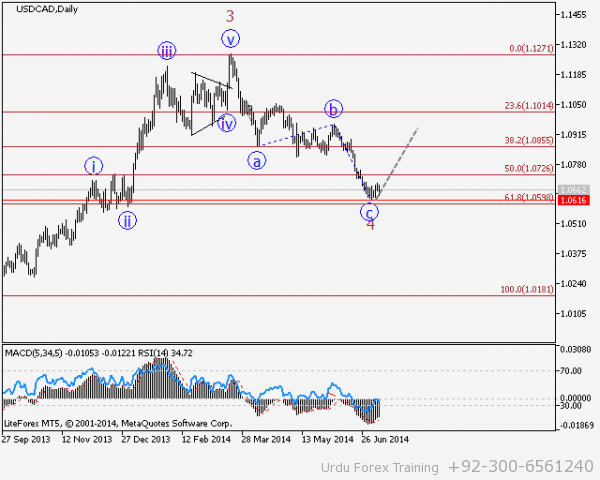 USD/CAD Wave analysis and forecast for 10.07 – 18.07: The pair is likely to grow. Estimated pivot point is at the level of 1.0616. 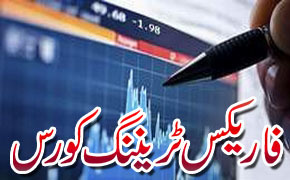 Our opinion: Buy the pair above the level of 1.0616 with the target of 1.09 – 1.10. 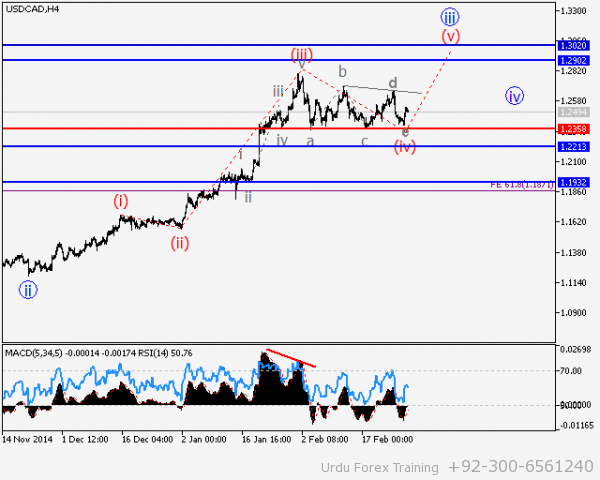 Alternative scenario: Breakout of the level of 1.0616 will enable the decline in the pair up to the level of 1.0550. Analysis: Presumably, the formation of the downward correction in the fourth wave has completed. Locally, it is likely that the formation of the first in-lead wave has completed. If this assumption is correct, the pair will continue to rise not breaking down the critical level of 1.0616. 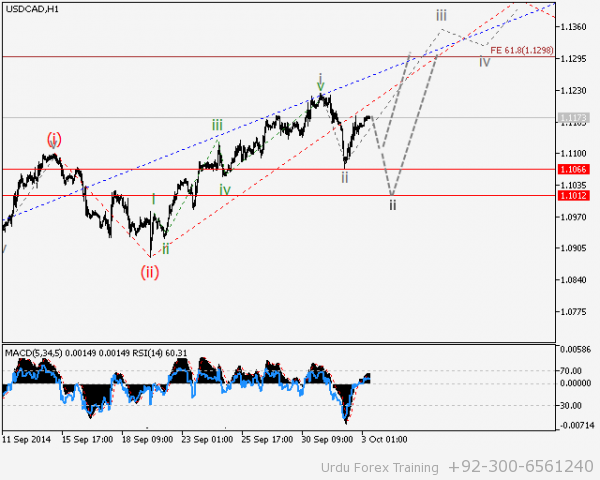 Otherwise, the pair will continue to decline to the level of 1.0550 as the extension of wave с of 4. 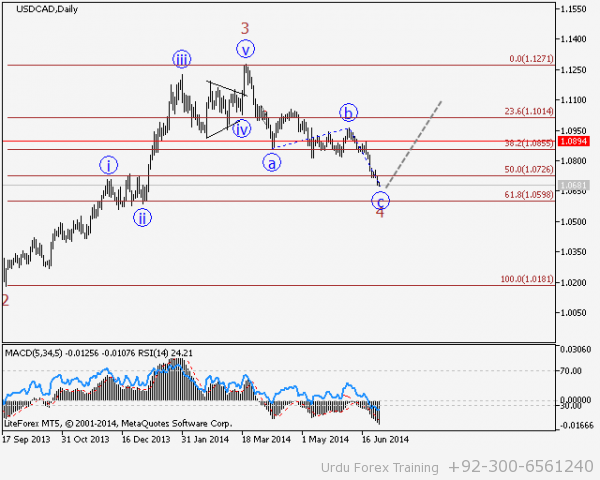 USD/CAD Wave analysis and forecast for 04.07 – 11.07: The correction is nearing completion. The pair is likely to grow. Estimated pivot point is at the level of 1.0680. Our opinion: Buy the pair above the level of 1.0680 with the target of 1.09 – 1.10. 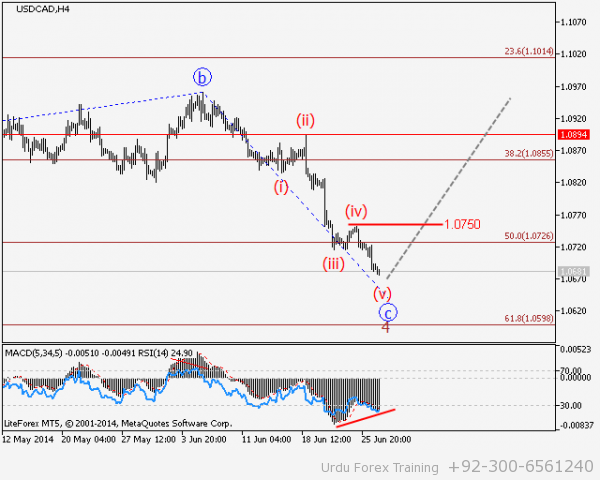 Alternative scenario: The pair will continue to decline to the levels of 1.06 – 1.0550. Analysis: Presumably, the formation of the downward correction in the fourth wave is nearing completion. Locally, it is likely that the formation of the downward impetus in wave с of 4 is nearing completion. If this assumption is correct, the reversal will become possible and the pair may begin to rise in the fifth wave of the senior level. Breakout of the level of 1.0680 will be the confirmation of the reversal and the beginning of the rise in the pair. Buy positions can be placed above this level, with the stop-loss below the local lows at the moment of the breakout. 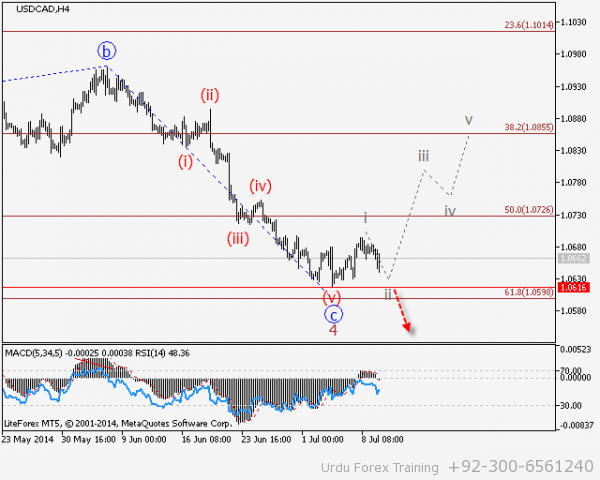 USD/CAD Wave analysis and forecast for 27.06 – 04.07: Correction has completed. The pair is likely to grow. Estimated pivot point is at the level of 1.0750. Our opinion: Buy the pair above the level of 1.0750 with the target of 1.09 – 1.10. Alternative scenario: The pair will continue to decline to the levels of 1.06 – 1.05. Analysis: Presumably, the formation of the downward correction in the fourth wave с of 4 is nearing completion. Locally, downward momentum in the wave с of 4 is nearing completion. If this assumption is correct, in the near future the pair may reverse and start to grow in the fifth wave of the senior level.